Pauline Julian, 88, passed away peacefully the morning of August 14, 2018 at home with her family at her bedside. Pauline was born the first child of Paul Sylvestor Leib (1904-1975) and Klytia Lillian Snader (1908-1983) in Akron, Ohio on March 15, 1930. Her brothers and sisters are Shirley, Carol, Kenneth, James and Glen. Pauline married Edward Lasater Julian on April 21, 1951 in Akron, Ohio. Ed preceded her in death on February 25, 1994. She had two sons, Paul Elvis and Douglas Edward, with Paul preceding her in death on June 29, 2002. 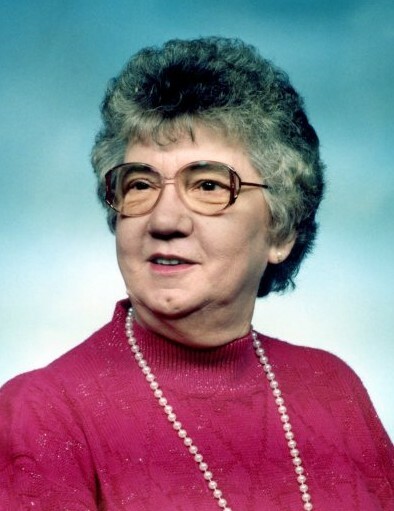 Pauline was a former member of the United Methodist Church in Greensburg, Ohio, Greensburg Garden Club, and retired from the Green Local School District as a cafeteria worker. Pauline was also preceded in death by her brother, Jim. She is survived by son, Doug (Patti) Julian; daughter-in-law, Nancy; step-son, Larry (Marilyn); grandchildren, Missy (Carl) Lambert and Lisa (Chris) Wiley; step-grandchildren, David (Jennifer) and Michelle Julian; great‑grandchildren, Brendon, Devin, Aidan, Max and Jack; step‑great‑grandchild, Collin; brothers, Ken (Nina) and Glen (Cheryl) Leib; sisters, Shirley Julian and Carol Starkey; and sister-in-law, Sharon. The family would like to extend heartfelt thanks to the staff of Crossroads Hospice for the love and care they gave to Pauline and her entire family. Also, sincere thanks to Shirley, Diane, Kelly, Julie and Ken, as well as all family and friends for their support, love and care for Mom. Mom was such a caring person and always put others before herself. When something was needed, she was always there ready to do anything she could to help. Through her faith in the Lord, Mom was able to rebound from much adversity over the years, but she is now at peace with no pain and will be forever in the loving hands of our Lord and Savior. Our hearts are broken, but we will go on with our lives until our time comes and we are all together again. Goodbye Mom, we miss you and we love you with all of our hearts. Cremation has taken place and memorial service will be held at 6:00 P.M. on Thursday, August 23, 2018 at Schermesser Funeral Home, 600 E. Turkeyfoot Lake Rd. (SR619), Akron, Ohio 44319 with Kelly Julian providing the eulogy. Family and friends may call on Thursday from 4:00 P.M. until the time of the service at the funeral home. Inurnment at Greensburg Cemetery at a later date. In lieu of flowers, memorial contributions may be made in Pauline’s name to Crossroads Hospice, Charitable Foundation, 10810 E. 45th St., Ste. 300, Tulsa, Oklahoma 74146. To leave a special message online for the family, visit our website at www.schermesserfh.com.